Get excited shopaholics, the DFO Ultimate Weekend has just kicked off! This long weekend, when you visit any of the four DFO stores (Essendon, South Wharf, Moorabbin and Home Bush) you'll be treated to special offers, storewide discounts and the opportunity to win the Ultimate Holiday valued at $10,000! Earlier today I headed into my local DFO (Essendon) with the intentions of upgrading my 'mum uniform'. As many of you know, activewear is a mums best friend, so at the top of my designer shopping list were retailers renowned for their lifestyle range - Adidas, CK, Puma and Tommy Hilfiger to name a few! My winter wardrobe was severely lacking winter sweats necessarily for those icy morning school runs! I picked up an amazing Adidas python print sweater at 40% off, a couple of CK classic crews (buy 3 items save 30%) and a cricket inspired pullover at Tommy Hilfiger for less than half the RRP! Did someone say Sports Lux?! MEET AFL FOOTBALLERS @ DFO! 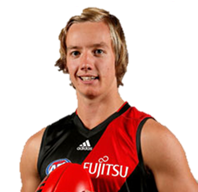 In addition to retail therapy, this Saturday 11 June from 1 - 2 pm you could meet David Zaharakis and Darcy Parish from Essendon Football Club outside Adidas!